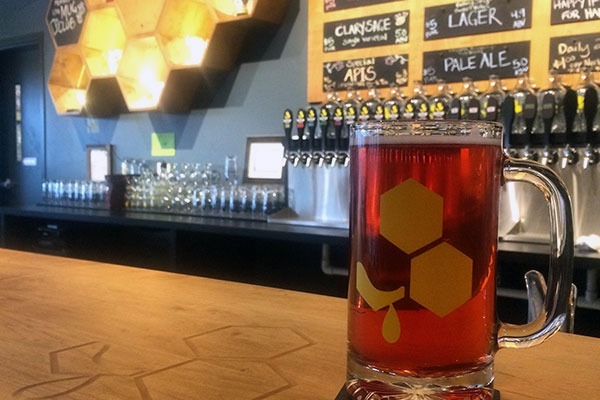 Mead is its own category of alcohol and is defined by the fermentation of honey. Nectar Creek focuses on making session meads, which are meads that are less than 10% ABV and carbonated. Their meads are light, clean, refreshing and made from ingredients with integrity. In 2015 Nectar Creek won gold, silver and bronze medals in the dry session mead category at the Mazer Cup International, sweeping an entire category at the world’s largest mead competition. They also offer a variety of event space options, with a welcoming and relaxed atmosphere for the whole family, a variety of food options and built in servers to ensure a seamless event. They can comfortably accommodate private groups or events up to 60 people. Their rental options are flexible and can be tailored to suit your individual event needs. Food and beverage packages are also flexible, giving you the freedom to pick what works best for you. They have a conference room that seats 12 comfortably and can be reserved for business lunches and informal gatherings.